Bahrain (officially, Kingdom of Bahrain) is a unique country in the middle east located in the arabian Gulf Waters. The arab Island country is travelable to Saudi Arabia via car by driving over the causeway. The causeway links Al Khobar, Saudi Arabia (eastern province) to the more liberal arab world of Bahrain. I have heard people often refer Bahrain as a mini Dubai. There is also great architecture in Bahrain, such as the World Trade center of Bahrain. It is the first skyscraper in the world to integrate wind turbines into its design. It is the second tallest building in Bahrain. It is also home to the Formula 1 circuit, that takes place in April. The first race took place at the Bahrain International Circuit in April 2004. 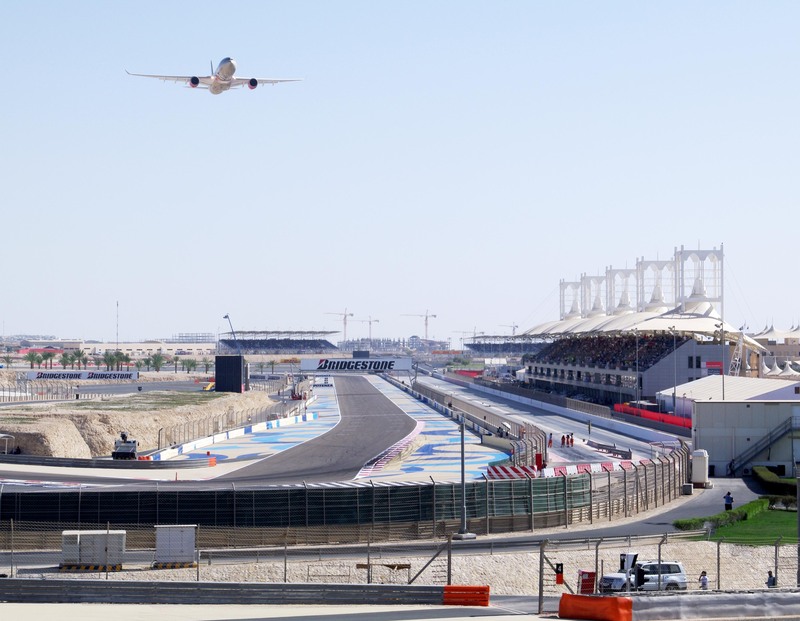 It has made history as the first Formula One Grand Prix to be held in the Middle East and was given the award for the “Best Organized Grand Prix” by the FIA. The Bahrain International Circuit also offers several different types of experiences of the circuit. They do offer go karting at the circuit and a “Dragster Xperience”. The Dragster Xperience is one of the most exhilarating activities at the BIC. 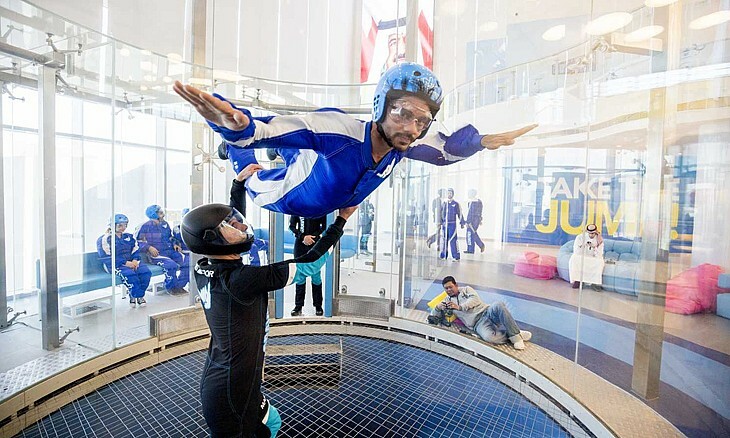 Bahrain also offers Indoor Skydiving (Gravity Bahrain). The Indoor Skydiving is achieved by using a vertical wind tunnel. So you’re not actually jumping off or out of anything. It seems to be a reverse gravity sort of effect. Shopping!! There is lots of shopping here! In fact there is even a high end mall that offers such stores as Hublot, Burberry, Dior, Fendi, Louis Vuitton, Tiffany & Co, and Cartier. This is the Moda Mall that offers these stores. This mall is located at the World Trade Center of Bahrain. Another mall that is very popular as well, is the City Center Mall. They have some high end stores, but not nearly as many as Moda mall. Another popular attraction is The Tree of Life. 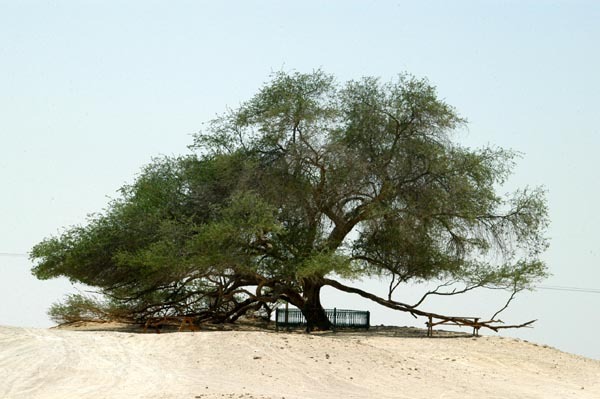 It is a 400-year-old tree that stands alone in the middle of the desert. 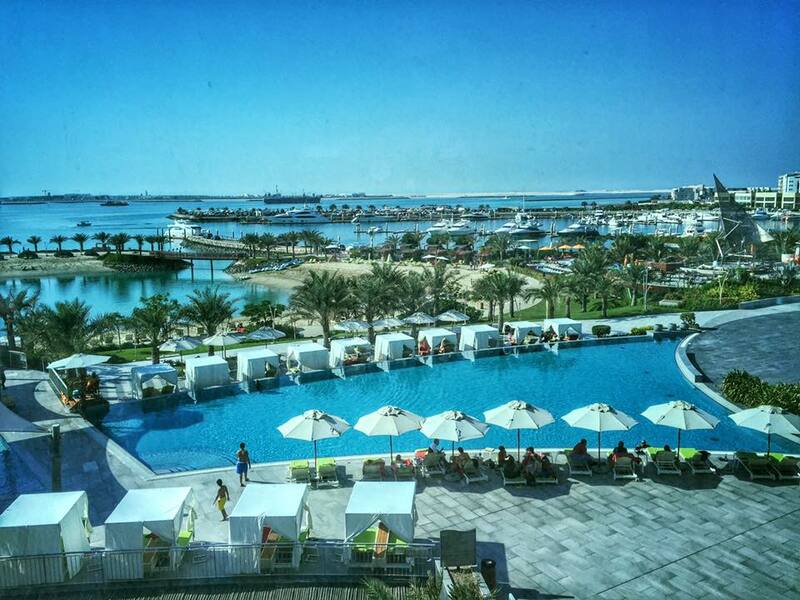 There are plenty of things to do in Bahrain. 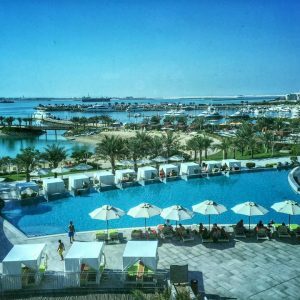 Here are the top 5 places to stay in Bahrain. 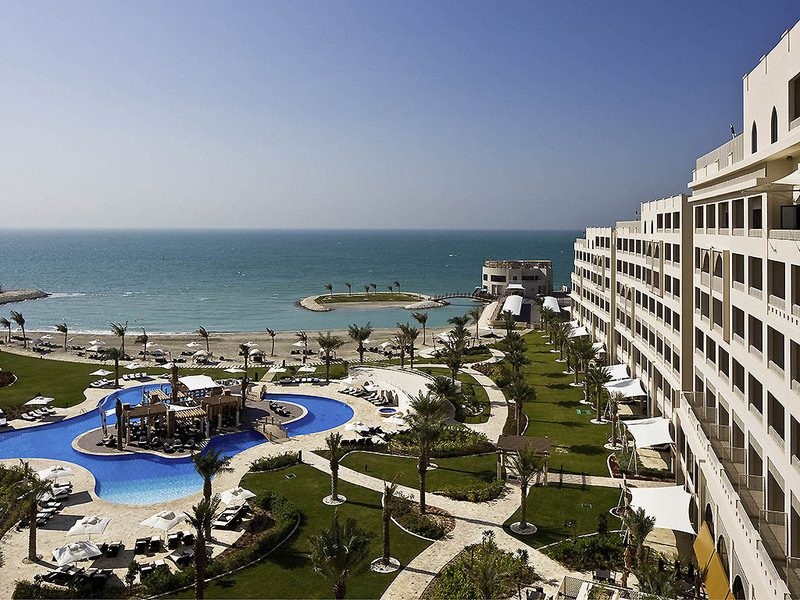 This hotel is situated on the coast line of Bahrain. It is a spectacular beach front hotel with 150 meters of private beach. 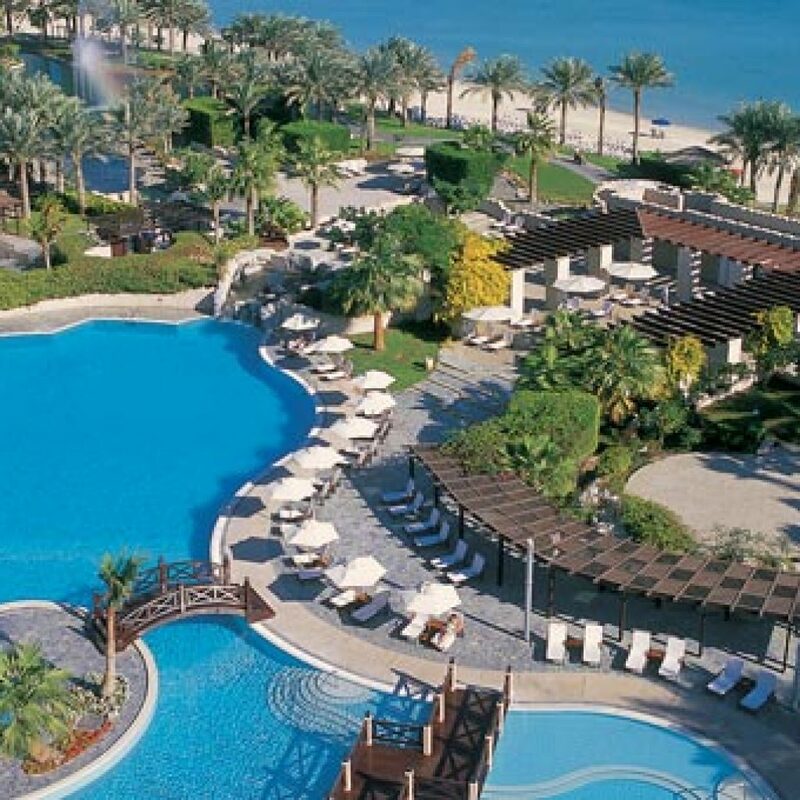 The hotel is situated on a group of man-made island near the Bahrain International Airport. It is a luxury hotel with excellent dining options on site. My personal favorite restaurants are The Wu and Flames (All located at Rotana Art Amwaj). 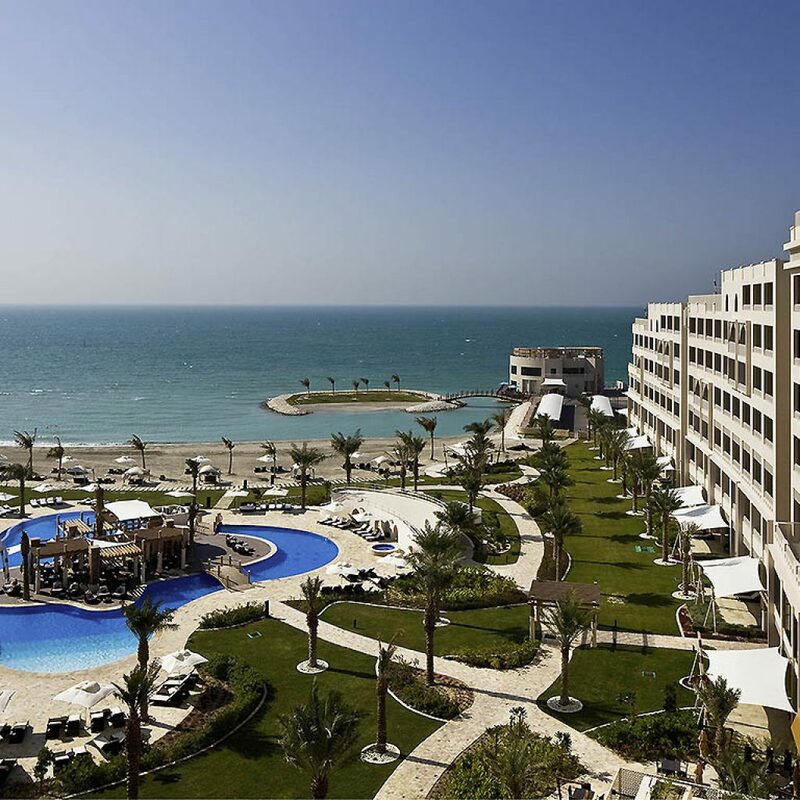 Check to See if there is availability at the Rotana Art Amwaj Island hotel here. 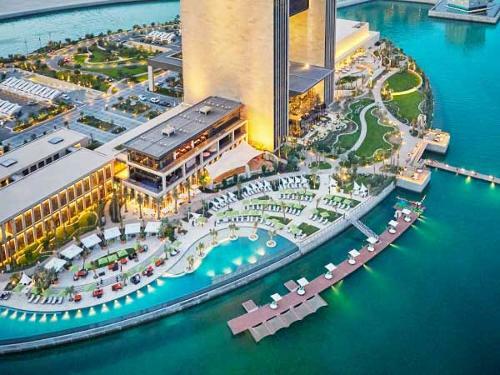 The Intercontinental Regency hotel is within walking distance (5 minutes) to the Bahrain Gold Souq. This is an inner city hotel with 2 pools. One located on the roof, and the other is located on an upper floor. They are both outdoor pools, so you are still able to enjoy the sun. Both pools do offer shaded areas. If you’re needing to stay near the Financial Harbor of Bahrain, the hotel is only 300m from this location. 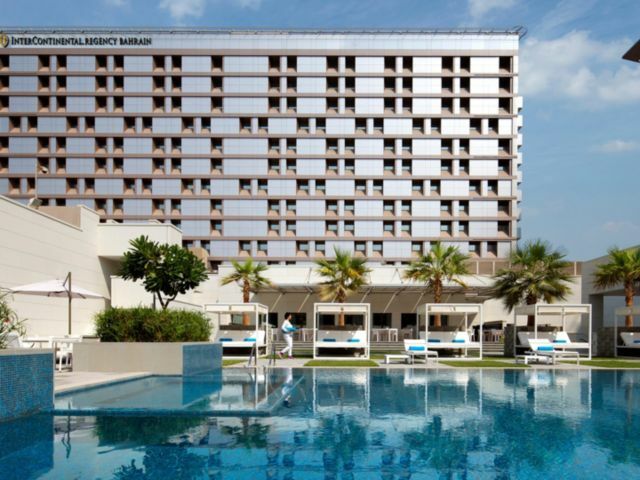 Check to See if there is availability at the Intercontinental Regency Manama hotel here. 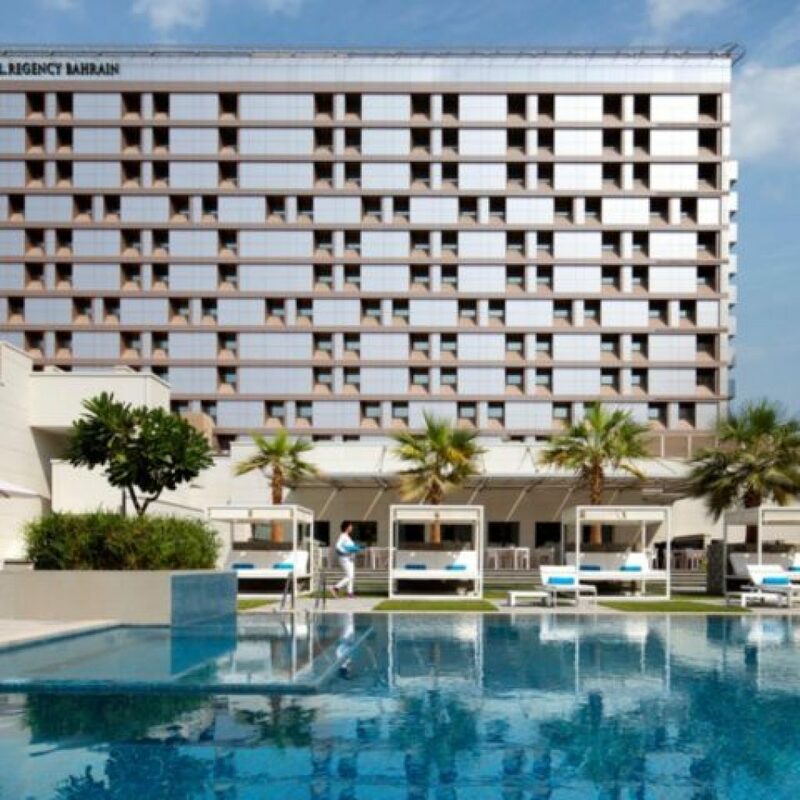 Intercontinental Regency Manama – View of 1 of the 2 pools at the hotel. 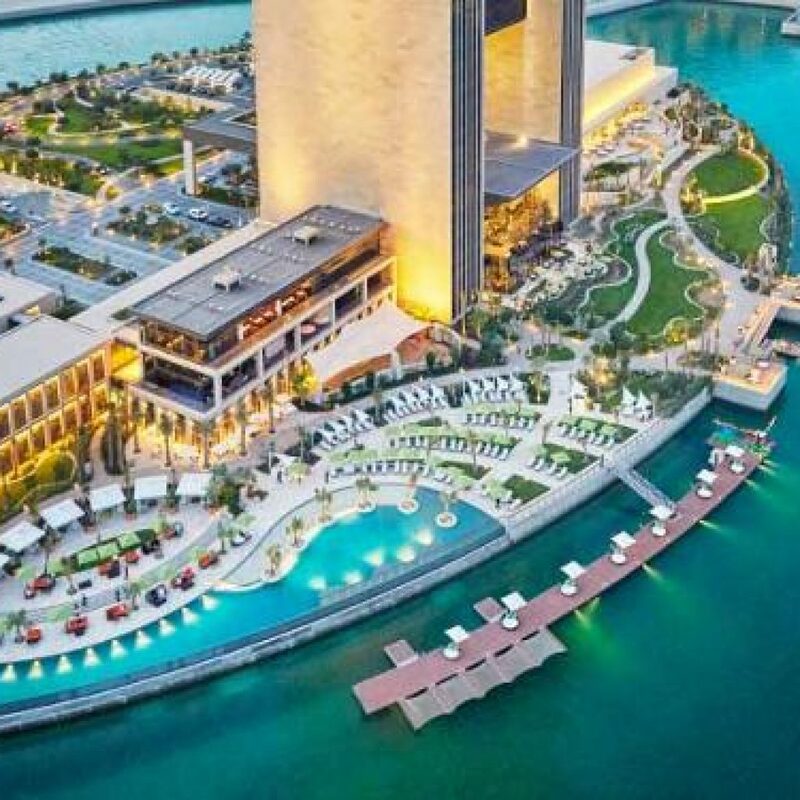 If you’re looking for more hotel options in Bahrain, click here. These hotels are in a cost friendly class.